For readers of Proof of Heaven, the astonishing story of a woman with an extraordinary psychic gift - and a powerful message from the Other Side that can help us to live more beautifully in the here and now. Laura Lynne Jackson is a wife, a mother, a high school English teacher - and a psychic medium. 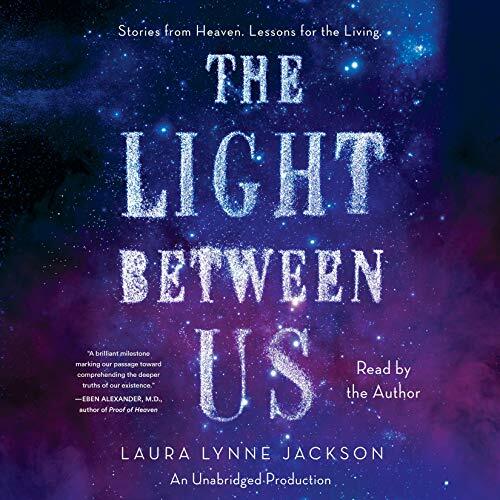 Where most believe an impenetrable wall divides the world between the living and the dead, Jackson sees bright, brilliant cords of light that pass through a barrier as thin as a sheet of paper. Her gifts tested and verified by some of the most prominent scientific organizations studying paranormal phenomena, Jackson has dedicated her life to exploring our connection to the Other Side, conversing with departed loved ones, and helping people come to terms with loss. In The Light Between Us, she shares her remarkable journey and the lessons in love she's learned along the way. Jackson is just a child when she first realizes she is different from her peers. She has tremendous empathy and often finds herself overcome by the emotions of those around her. She has premonitions about friends and family members that leave her feeling helpless, sad, and confused. She confides in her mother - and learns that the gift runs in the family. For 20 years Jackson leads a double life. By day she teaches literature to Long Island high school students. At night, in private, she conducts readings that connect people with loved ones who have passed and imparts information with shocking accuracy and insight. And then one day, her two worlds become one, and she comes to fully embrace her gift and her purpose.